Posted on December 7, 2018 by Matthew Leib. This entry was posted in Faculty Friday, Spotlight and tagged Faculty Friday, Spotlight. Bookmark the permalink. To understand trolls is to understand oneself—and professor Lotta Gavel Adams knows them better than most. But Gavel Adams, professor emerita and Barbro Osher Endowed Chair of Swedish Studies at the University of Washington, insists she’s neither troll scholar nor folklorist. Her primary area of research is the life and work of Swedish playwright and novelist August Strindberg, who, along with Henrik Ibsen, helped lay the groundwork for modern drama in the 19th and 20th centuries. But even a literary giant like Strindberg can appear small when set against the gangly, oft-times gruesome forest-dwellers who loom large against the tree-lined horizon of Nordic cultural consciousness. Far from being frozen in folklore past, trolls remain something of a constant companion in the human consciousness—an important signifier of how we view and conceive of ourselves as humans. Gavel Adams cites a scene in Henrik Ibsen’s play, Peer Gynt, first published in 1867 and performed in 1876. Inspired by one of the collected folktales of Asbjørnsen and Moe, the play blends folkloric fantasy and realism, bending space and time across a whirlwind forty scenes. 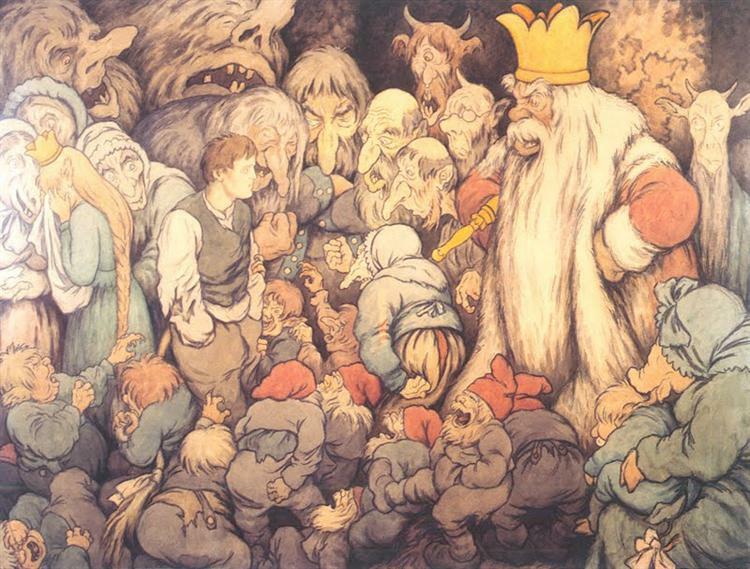 Peer Gynt’s encounter with the Troll King as depicted by Norwegian illustrator Theodor Kittelsen. “Where is the border between being a human being and being a troll—a selfish, bad person?” Gavel Adams asks. It’s a question she’ll explore further in her Nordic Museum lecture and one she says is worth asking now, more than ever. Through their many distorted forms, trolls help us hold a mirror to ourselves. It might seem a peculiar form of pedagogy, but the troll has been a teaching tool ever since the mid-1800s when it burst into Scandinavian popular imagination thanks to the efforts of folklorists who criss-crossed Norway, Sweden, and Finland bent on uncovering core national narratives from rural hinterlands. Norwegians Peter Christen Asbjørnsen and Jørgen Moe were among them, giving literary life to trolls when they published Norwegian Folktales in the 1840s. “When they recorded the stories and published them, people became excited—this was the first time we had seem them in writing,” Gavel Adams says. That posed something of a problem until they met illustrator Theodore Kittelsen, whose illustrations for the second edition gave form, personality, and movement to something no one had actually seen before, save for in the mind’s eye. 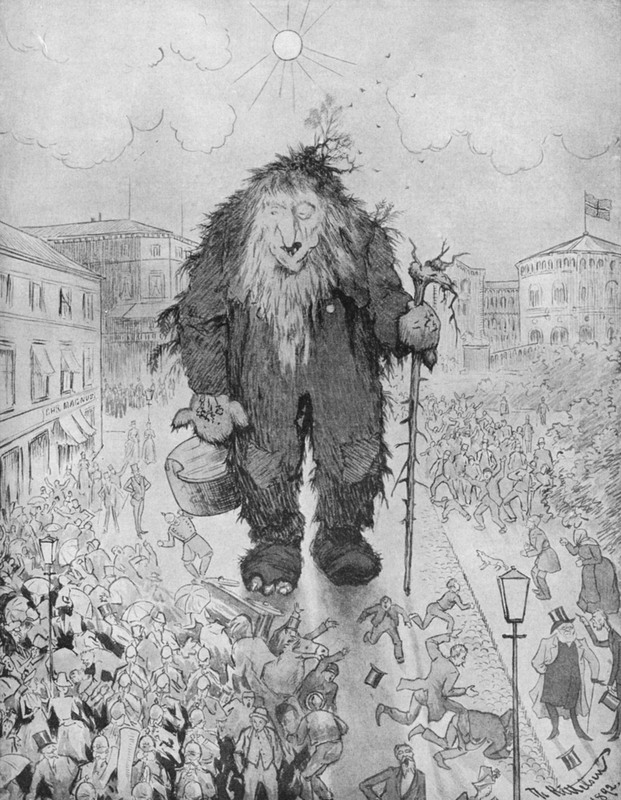 “The Troll in Karl Johansgate.” One of Theodor Kittelsen’s iconic trolls strides down Oslo’s main avenue. Ever after, trolls ran rampant throughout Nordic culture. Teachers and writers adapted the original tales to educate children, softening once-gruesome narratives with themes of perseverance and ingenuity—qualities now highly prized in a rapidly changing, industrialized society. Trolls, it would seem, were evolving along with it. Hastening the process was the second great contributor to their enduring image, the illustrator John Bauer, whose art deco trolls came to define a golden age of Scandinavian children’s literature at the turn of the 20th century. The Moomin trolls are perhaps the most memorable and widely recognized trolls of the 20th century. Created by Swedish-speaking Finnish writer and artist Tove Jansson after World War II, the peaceable Moomins trace their origins to a comical admonishing Jansson received from her uncle who warned that “Moomins” would emerge to blow cold air down the necks of children looking to sneak food from the kitchen. After the first Moomin story published in 1945, Jansson’s hippopotamus-like trolls gained an international following that has only grown with the subsequent release of Moomin-themed comic strips, television series, and films. 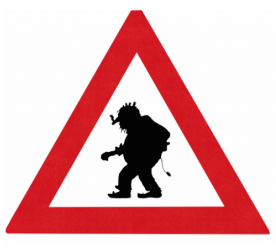 In the 21st century, however, popular depictions of trolls appear to be moving back to reflect their classic characteristics: fearsome, brutish, and, above all, wild. Films such as 2010’s Troll Hunter and 2018’s Border have served to reconnect trolls with their primordial past. The latter, which won accolades at Cannes and will be Sweden’s entry for Best Foreign Language Film at the 2019 Academy Awards, tells the story of a customs agent whose odd features and keen sense of smell set her apart from the rest of society. A chance encounter with a man with similarly troll-like qualities upends her world, leading her to question her very nature. Even so, the term’s widespread use would indicate trolls loom as large as ever in human consciousness. 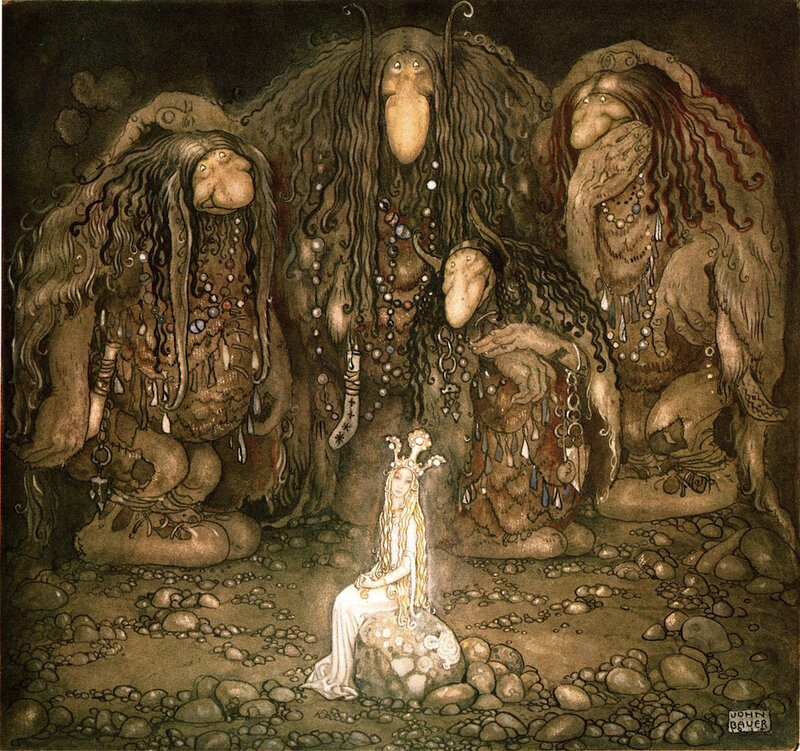 John Bauer’s troll illustrations brought the fearsome forest-dwellers to generations of children at the turn of the 20th century. It was Gavel Adams’ interest in Strindberg that first brought her to the US from her native Sweden in 1985. Her mentor as a Ph.D. candidate at the University of Washington was Birgitta Steene, herself a Strindberg scholar who took over the Scandinavian Studies Department in the 1950s as one of first women to become full professor and department chair. 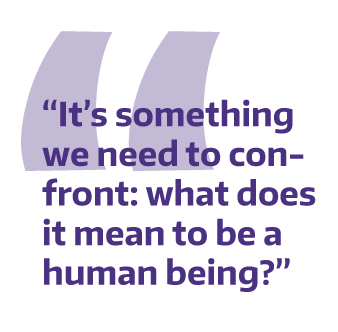 Hired on at the UW as an assistant professor in 1990, Gavel Adams credits her background as a Strindberg scholar for helping her land the job. 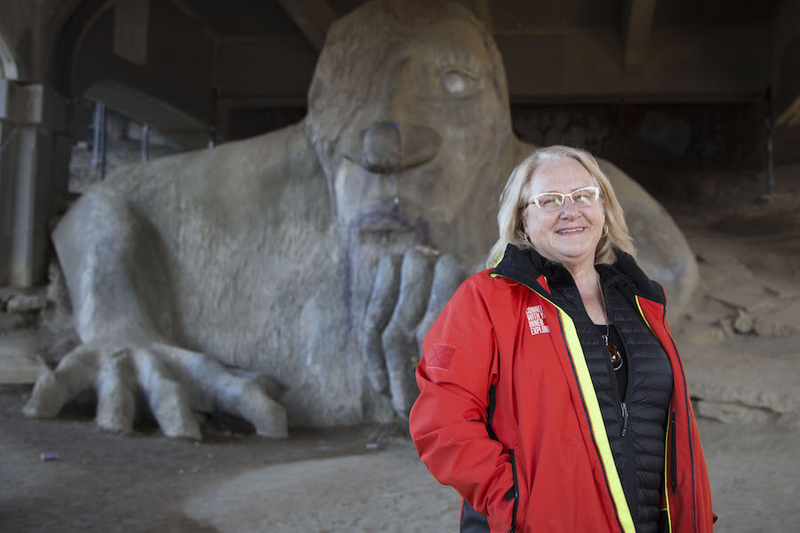 Catch Lotta Gavel Adams’ lecture, Trolls in the Nordic Imagination: Scary, Clumsy, Lovable, at the Nordic Museum in Ballard on Thursday, December 13 at 7 pm. Loved the audio lecture! Fascinating! And so proud of my Mom!